The whole process of growing your family can be hard on kids. As parents are focused on preparing the house for new baby and mommy can be overwhelmed with growing new baby (if she is pregnant) or waiting for baby to arrive (adoption has it's own set of waiting...) kids can pick up on the change and not know how to respond. 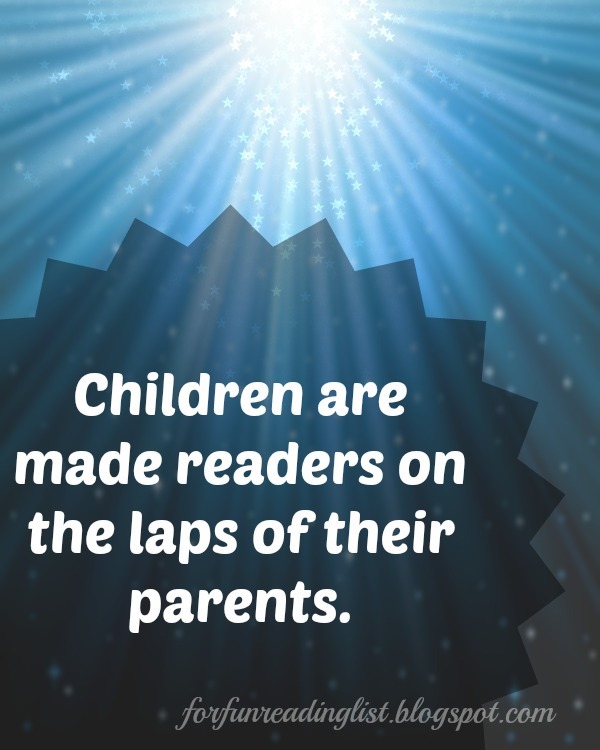 This is when keeping the routine of reading with your kids can be most beneficial. There are so many great books out there that will tell stories of what happens when new babies bless families. 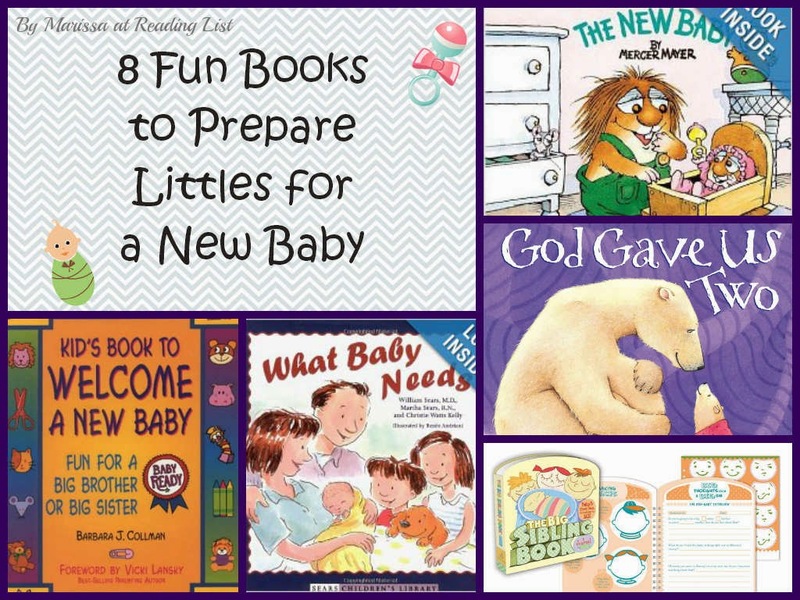 Plus there are a ton of books that can allow your kids to prepare specifically for your new baby - books where they can journal about waiting for baby, or even keep track of events of baby's first year from the vantage point of brother/sister. The possibilities are endless. So even though, as parents, adding to the family can overwhelm, leaving us with no idea of how to help our kids accept the change, books are a great tool! And another reason why we need to carve out time to read to our kids. With that in mind, I'm sharing a mix of great books to look into if you are expecting a little addition to your family in the near future. The New Baby by Mercer Meyer: This story shares how babies are not exactly like having a friend over. Young kids will love the writing and silly way Meyer shows how a new baby changes life. The Berenstain Bear's New Baby by Jan & Stan Berenstain: This story is focused on the changes that a big brother (or sister) can expect when new baby comes, and promotes the idea of growing up, and taking on responsibility. It is great for young kids. A New Baby is Coming by Emily Menendez-Aponte. This book is longer than some, so might be better for older kids (at least 5) but it allows kids to ask parents questions about what to expect and open dialogue. What Baby Needs by William Sears. This book is great at letting kids know that mom and dad will be busy with new baby, but that doesn't mean new brother/sister can't help to. It gives ideas on how to help - it's great for kids around the ages that want to help... 2-6 maybe? What to Expect When New Baby Comes Home by Heidi Murkoff. This book poses questions as it points new siblings into behaviors that will help baby - like when to be quiet... It is certainly for slightly older kids, maybe 6-8. Kids' Book to Welcome a New Baby by Barbara J Collman. This is a great book for mom and dad to do with brother/sister as they wait for baby to come. There are activities to work on before baby and after baby. It allows for time with mom and dad, and helps introduce the idea of a new baby. This book is for older kids who like to be involved - at least 4 years old. The Big Sibling Book: Baby's First Year According to ME! by Amy Krouse Rosenthal. This book is just like a baby book that mom might fill out once she finds out she is pregnant - it follows pregnancy, birth and baby's first year, but it's all from big brother/sister's vantage point. It allows time to be spent with mommy and really talk about new baby. Again this is a book for at least 3 year olds and up. God Gave Us Two by Lisa Tawn Bergren. This adorable story shares how mama polar bear helps little cub get ready for a new baby. It's simply adorable and perfect for even the youngest siblings. There are so many wonderful books out there, I could go on and on. What books would you add? Where there any that your kids loved? If you are considering adding of these books to your personal library, please think of going through my affiliate links below and supporting Reading List as you grow your home library.